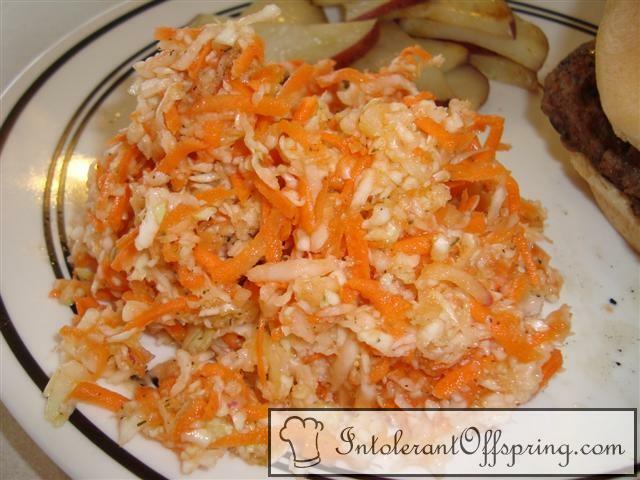 Combine cabbage, carrots, onion, and garlic in a large bowl. In a small mixing bowl, combine oil, vinegar, sugar, garlic, salt, pepper, and dill. Stir vigorously. Pour over cabbage mixture and stir until evenly distributed. Chill for at least one hour and serve.